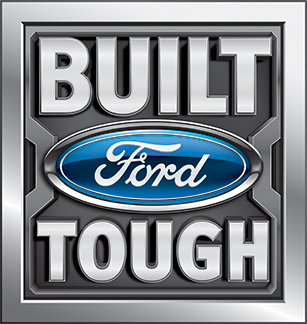 WINTER SPRINGS, FL, October 18, 2016	(Newswire.com) - Anthony's Hightech Auto of New Haven, Conn., captured the Second-Place Award for Heavy-Duty Truck in the national Shine ‘n Star Tow Truck Photo Beauty Contest, hosted by Tow Times magazine and powered by Ford Trucks. The winner is a Peterbilt truck with a Century 9055 towing unit. 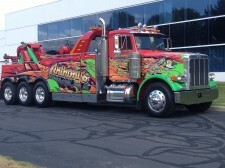 It sports custom red, green and yellow colors with a flame design along the chassis and towing unit. Anthony's Hightech Auto has scored numerous wins in the Shine 'n Star contest in the light- and heavy-duty truck categories with vehicles of similar outstanding color, design and quality graphics. One of the company’s fleet of 12 trucks, the Peterbilt was chosen out of 550 entries submitted in five categories this year from around the country and Canada. The Shine ‘n Star Tow Truck Photo Beauty Contest second-place award adds another notch to Anthony's Hightech Auto's 26 years of business in the New Haven, Milford and Hamden areas. The annual Shine ‘n Star Tow Truck Photo Beauty Contest – celebrating 25 years in 2016 – taps into towing operators’ pride in their fleet, providing an opportunity to show off the beauty and brawn of their equipment. 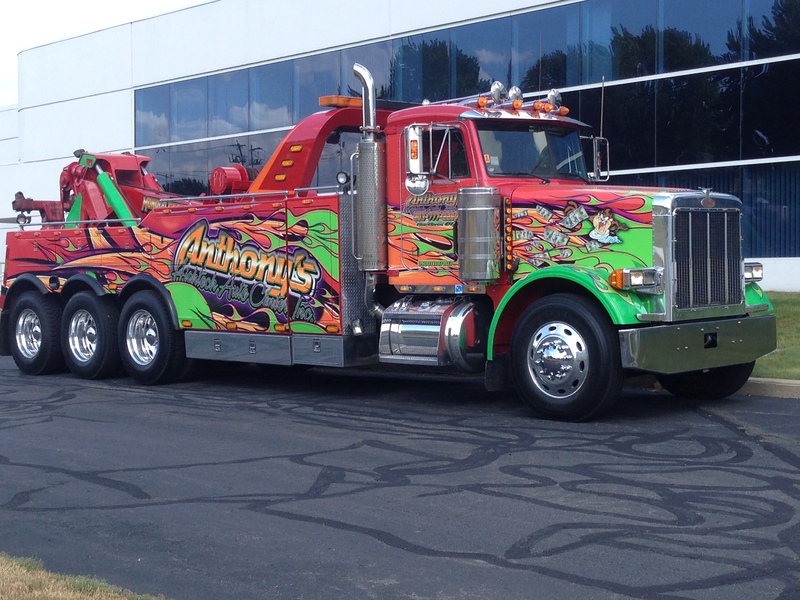 Like many tow truck owners and operators, Anthony's Hightech Auto loves its trucks. The Shine ‘n Star national tow truck photo beauty contest offers 16 cash prizes, with second-place winners such as Anthony's Hightech Auto also featured on a future cover of Tow Times magazine. 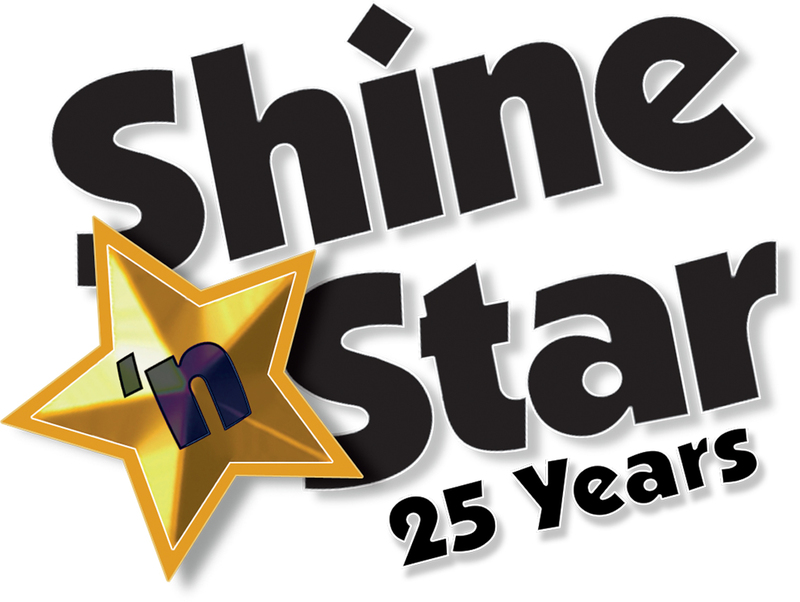 For more information about the Shine ‘n Star Tow Truck Photo Beauty Contest, contact Tow Times’ Publisher Clarissa Powell at 407-936-2491 or email cpowell@towtimesmag.com. Reach Sean Maher of Anthony's Hightech Auto at 860-818-1797.